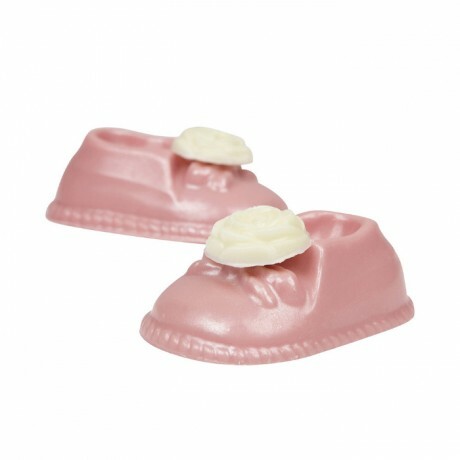 These gorgeous chocolate baby shoes will surely put a smile on both mum’s and dad’s face. White chocolate min cacao solids 28% min milk solids 22% Sugar, cocoa butter, whole (MILK) powder, emulsifier, (SOYA) lecithin, natural vanilla and strawberry flavouring. EDIBLE LUSTRE DUST: E555 Potassium Aluminium Silicate, E171 titanium dioxide, E172 iron oxide.